The Serpentine Library: Wake, Fade, Gone Contest! 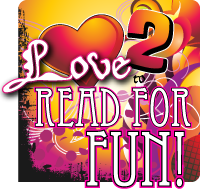 Love to Read for Fun, an awesome book blog, is doing a 100th follower give away of all three Lisa McMann books! How cool is that! "Believe me, once you read Wake, you're going to want to immediately read Fade. Which means you'll want to immediately read Gone. That's how I felt when I finished Fade the other day. I can't believe I have to wait nearly a month to read the conclusion of Janie's story". To enter click here to fill out the entry form. The winner will be contacted via e-mail and have 48 hours to respond. The winner will be selected using random.org.